“Eating Alaska,” a film by Sitka filmmaker Ellen Frankenstein about local food and how Alaskans make their food choices, is going international with screenings in Poland, Croatia, Scotland and Canada in the next two months. The film also will be making its PBS premiere with broadcasts on various public television stations around the country during September, including two in Alaska (one with a live Skype interview). The international screenings will be highlighted when Frankenstein and associate producer Valerie Lipinski attend the Kuchnia TV Food Film Festival and National Broadcast Sept. 30-Oct. 9 in Warsaw, Poland. The film also will be shown (without the filmmaker in attendance) Sept. 16-19 at KinoOkus (Cinetaste), which is Croatia’s first gastronomic film festival that will focus on food education, environmental protection and sustainable development. 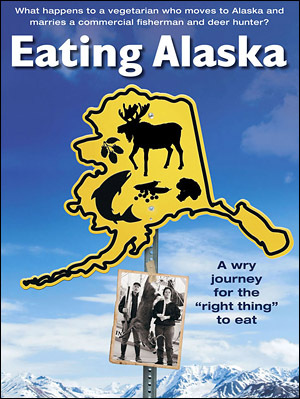 Eating Alaska will be shown on Sept. 30 as part of the Reel Food Film Festival sponsored by the Ottawa Main Public Library in Ottawa, Ontario, Canada. During September and October, “Eating Alaska” will be shown as part of the Cineco Environmental Film Festival sponsored by the University of Edinburgh, Scotland. In addition to the international showings, “Eating Alaska” will be shown for two live audiences in New York — on Oct. 5 as part of the Meet the Filmmaker Series at the Hewlett/Woodmere Public Library (Nassau) and on Oct. 6 at the Port Washington Public Library. “Eating Alaska” also will be shown a little bit closer to home, on Nov. 5-7 in Fairbanks, at the Far North Conservation Film Festival for those people looking for a live screening in Alaska. While it won’t be broadcast nationally, “Eating Alaska” will make several premieres on local public broadcasting TV stations around the country during the month of September (click here for full schedule). The film will be aired in Houston, Texas; Evansville, Ind. ; Austin, Minn.; Broomfield, Colo.; Charleston, Columbia, Spartanburg, Allendale, Beaufort, Florence, Sumter, Greenwood, Conway, Greenville and Rock Hill, S.C.; Greenville, N.C.; Anchorage, Alaska (at 7 p.m. on Tuesday, Sept. 14, on KAKM Channel 7, featuring a live Skype online video interview with Ellen Frankenstein); Durham, N.H.; Keene, N.H.; Littleton, N.H.; Eureka, Calif.; Elmira, Syracuse and Utica, N.Y.; East Lansing, Mich.; Milwaukee, Wis.; and Fairbanks (KUAC), Bethel (KYUK), Juneau (KTOO) and other Southeast Alaska communities including Sitka (at 9 p.m. on Thursday, Sept. 30, and again at 3 a.m. on Friday, Oct. 1, on AlaskaOne). After harvesting some potatoes with her mother earlier this week, Sitka 4-year-old Violet Harrison let her creativity flow and she created several potato sculptures. Thanks to Violet’s mother, Erin Rofkar, for sharing these photos of Violet with her sculptures of a scorpion, a moose, a bridge, the sun, a frog and a house with dogs. Does your neighbor have an incredible garden? Do you think your own garden looks pretty impressive? 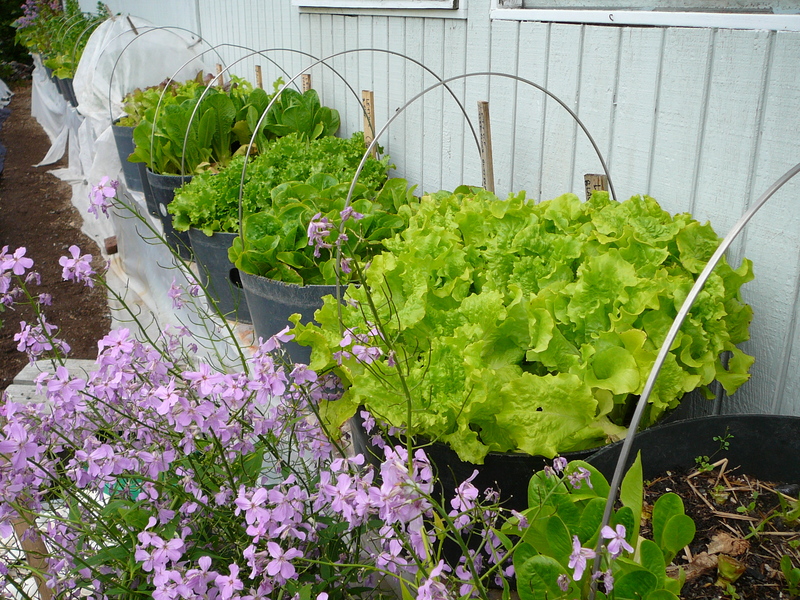 Then help the Sitka Local Foods Network find out who grows the best gardens in Sitka. If you know of someone with an impressive garden, take a picture or two and e-mail the photos by Sept. 11 to charleswbingham3@gmail.com. Tell us why you think the nominated garden is one of Sitka’s best, and don’t forget to tell us the owner of the garden and address (NOTE: if you’re nominating a neighbor, please double-check with them to make sure they want their garden nominated). The Sitka Local Foods Network focuses on food production, but there is a category for flower gardens. Hopefully we’ll get enough nominations so we can create an informal garden tour of Sitka to show how people are growing their own food. The better gardens will be featured here in a photo slideshow toward the end of September. Again, e-mail a photo or two to charleswbingham3@gmail.com to nominate your favorite Sitka gardens, then I’ll post them on the site. Please help the Sitka Local Foods Network recognize the best gardens in Sitka. Here is a run-down of the Tuesday, Aug. 17, debriefing meeting for the Sitka Seafood Festival. The following notes were provided by Alicia Peavey, who chaired the steering committee that organized the festival. volunteers for this year’s event. The celebration will be held on Sunday, Aug. 29th (EDITOR’S NOTE: Event postponed to a time TBA). SSF will provide drinks and some food. The Rec is already reserved, so we are looking into the Fly In Fish Inn or Talon Lodge. If anyone else has ideas let me know, and I will let everyone know as soon as I hear. year should TRY their hardest to make this meeting please. Thanks again to everyone who helped this year, what a fantastic event!!! We discussed continuing to use Sitka Conservation Society as a non-profit umbrella or trying to form our own. I am checking if we can use SCS again in that this seems like the easiest choice for this next year. our festival, to offer an affordable celebration for all to take part in. So, although this didn’t make money, we decided it was an important part of the festival. Much more was discussed, but these were some of the main topics. Hope to see everyone at the party…you all deserve a LARGE celebration! Now that the inaugural Sitka Seafood Festival is over, the steering committee will host a debriefing meeting at 7 p.m. on Tuesday night, Aug. 17, at the wine bar at the New Bayview Restaurant. The debriefing session will be informal and shouldn’t last long. People who can’t make it, but have comments, can contact festival coordinator Alicia Peavey. To learn more about the Sitka Seafood Festival or to find out how you can be a part of the second annual festival, send an e-mail to sitkaseafoodfestival@gmail.com. You also can contact Alicia Peavey at alaska_al33@hotmail.com or 1-928-607-4845. Anyway, here is a slideshow of scenes from the inaugural Sitka Seafood Festival. 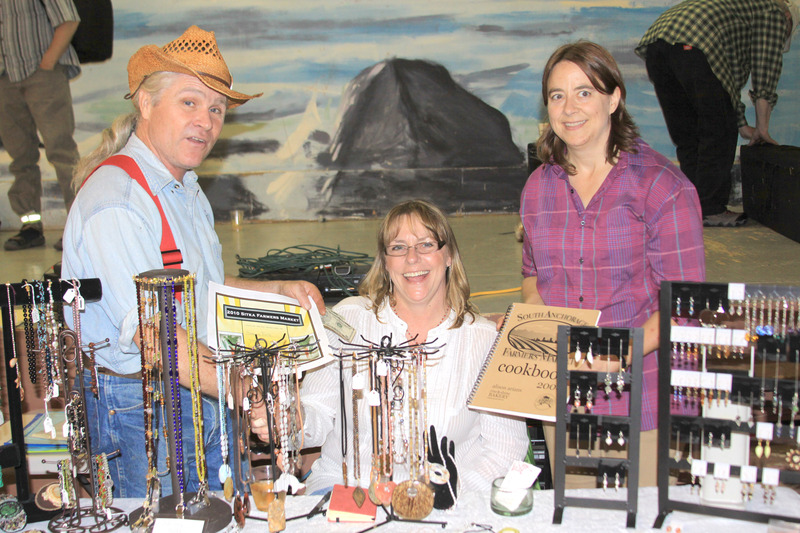 A similar slideshow can be found at the Sitka Local Foods Network’s photo site on Shutterfly.